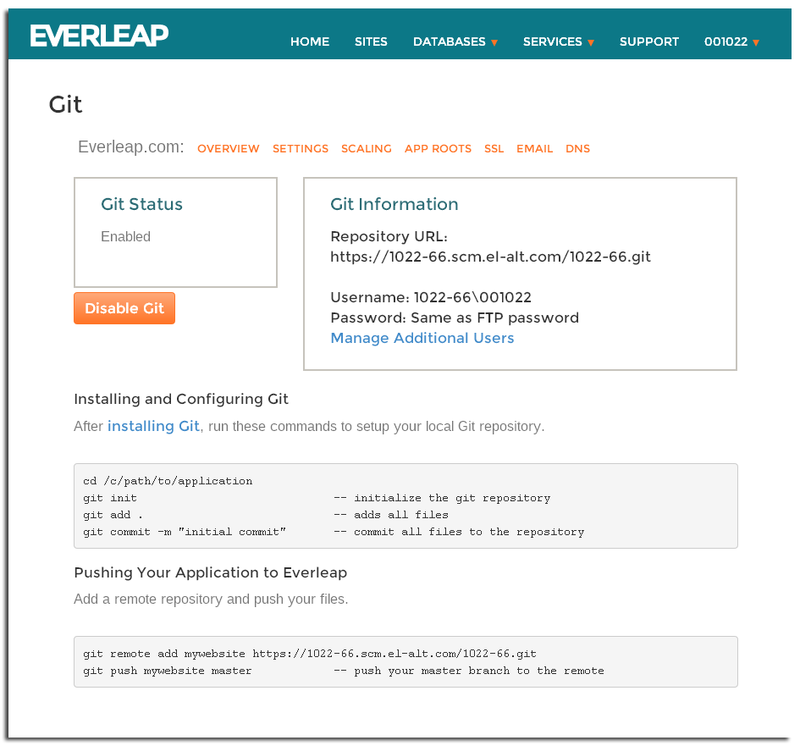 Everleap features Git version control integration. Manage your site using a local Git repository, stored right in your account. Need team access? You can add users in Control Panel with Git-only access (or grant Web Deploy and/or FTP access). Contact us for a consultation or for more information.